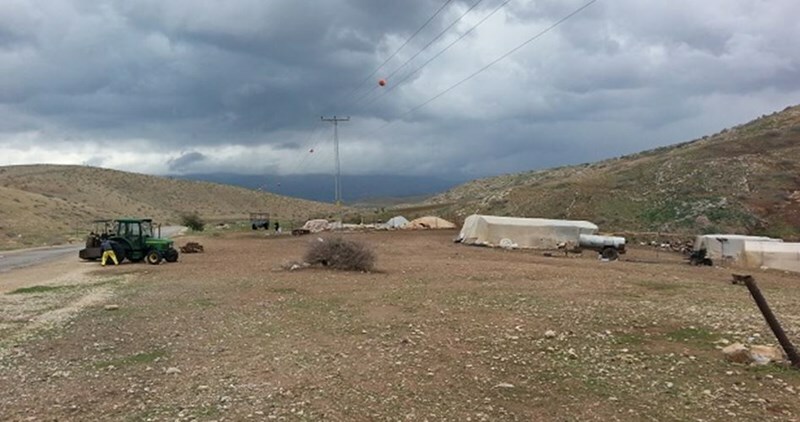 The Israeli occupation authorities (IOA) are fiercely targeting the town of Deir Ballout west of Salfit with unprecedented settlement activity and are increasingly threatening demolition and seizure of lands, buildings and property in the town. The latest step targeting the town was on Tuesday 2/2/2016, when the construction of four houses and a mosque were halted, and an iron gate was placed at the entrance to the town. Mayor of Deir Ballout, Kamal Mousa, pointed to the ceaseless targeting of the town's lands so as to expand Leshem settlement. He continued: "Four houses were notified to stop construction, as well as a nearby mosque which is also threatened with demolition, and the Israeli army told the residents that the olive trees and plants in the region must be removed. We do not know what the IOA will do to the infrastructure of the water system and electricity grid." He explained that the so-called Construction and Organization Department in the Israeli Civil Administration ordered a freeze to work and construction of a number of Palestinian buildings in the village of Deir Ballout under the pretext of unlicensed construction. This pretext is used often by the IOA to justify such practice. Mousa said that the houses are located in Zayyav area and Khallit Swindi in the Bab al-Marj area; and that new settlement units are being built to the east of the Palestinian houses threatened with demolition. Owners of threatened lands and homes appointed two lawyers to object and plead on behalf of them to recover their lands. Regarding the cultivated land area, he said that 200 dunums had been previously confiscated in favor of Leshem settlement and the currently endangered lands area is 500 dunums all are agricultural lands planted with olives and other trees, which entails big losses to farmers. 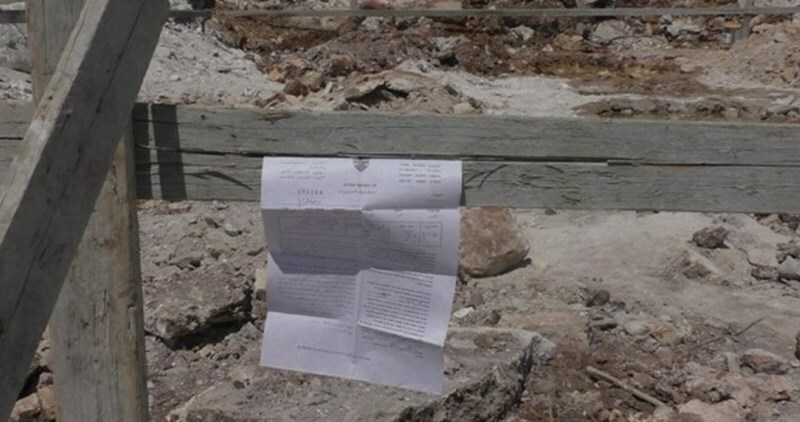 In his turn, researcher in settlement affairs, Khaled Maali, explained that the "Israeli military orders received by the residents of the village of Deir Ballout stipulate that the constructed buildings violate the Cities, Villages and Buildings Planning Law of Jordan no. 79 of 1966 and which was amended later (after the war of 1967) by the IOA on the basis of the military command; to fit their interests of settlement in the occupied Palestinian territories. Maali stressed that the IOA violate the international humanitarian law and the Fourth Geneva Convention, Articles 59 and 49 which stipulate the prevention of confiscation of land and the relocation and housing of settlers in the occupied territories, or launching any activity that might negatively affect the lives of civilians. He pointed out that the Rome Statute of the International Criminal Court of 1998, which considers all acts that inflict large-scale, long-term and severe damage to the natural environment are tantamount to war crimes. 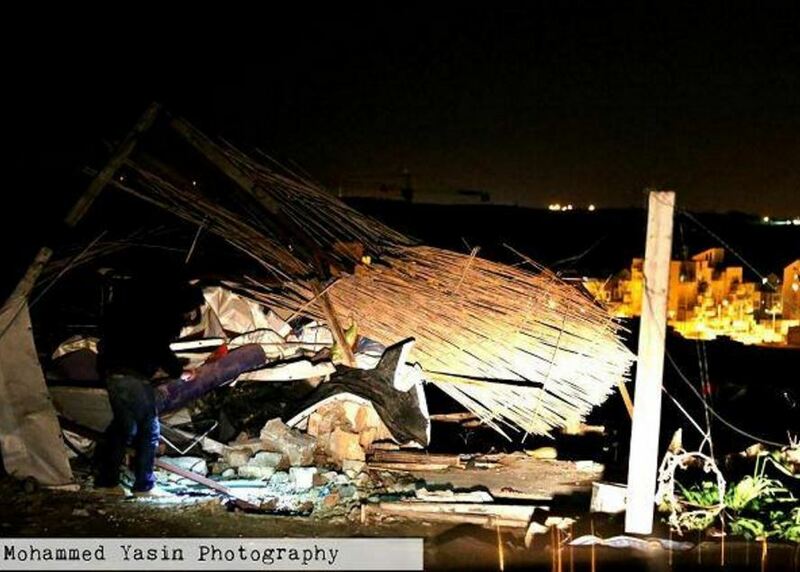 The Israeli occupation forces (IOF) on Thursday and Wednesday knocked down a wedding hall and a garage for repairing cars in Occupied Jerusalem city. The son of the hall’s owner, Ibrahim Abu Dheim, said in press statements that an Israeli army patrol and police forces rolled into al-Izriya town, in eastern Occupied Jerusalem, and knocked down their three-storey Qasr al-Moulouk wedding hall. He added that the Israeli court in Occupied Jerusalem ruled for the demolition of the third floor, only, but the occupation bulldozers knocked down the second and third floors as well, in a barefaced contravention of the court rule. He said the occupation troops partly destroyed the first floor and wreaked havoc on the remaining parts. Abu Dheim further stated that the demolition was carried out on account of the geographical proximity between the wedding hall and the Israeli apartheid wall. He said that his father obtained a construction license from the al-Izriya local village council. 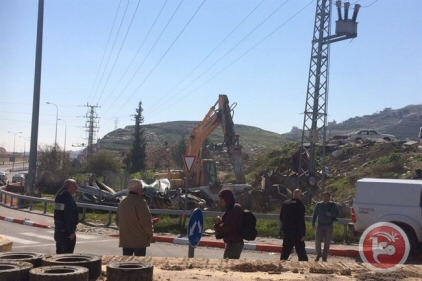 Earlier on Wednesday, the occupation bulldozers also knocked down a garage for repairing vehicles in Jerusalem’s northeastern village of al-Issawiya under the pretext of unlicensed construction. The garage is reportedly owned by the Palestinian citizen Haythem Mustafa. Remarkable material damage was inflicted on civilian cars parked in the garage. Israeli Occupation Forces (IOF) Wednesday built a security barbed wire fence around Palestinians' agricultural lands in Yabad plain near Jenin. Israeli occupation authorities had confiscated about 300 dunums of Palestinians’ lands in the area after declaring it a closed military zone. Sources at Yabad’s municipality told Quds Press that the fence deprives Palestinian farmers of accessing their fields. The municipality’s manager, Yousuf Atatrah, told Quds Press that the new Israeli orders will affect residents on the economic, commercial and agricultural levels. Atatrah asked the international human rights and humanitarian institutions worldwide to put pressure on the Israeli authorities to halt such crimes against the Palestinians. Israeli Haaretz newspaper revealed on Wednesday that Israeli Occupation Forces (IOF) razed, on Tuesday, 23 houses and three toilet facilities in two villages, Jamma and Halawa, in southern al-Khalil for conducting military drills. Both of Jamma and Halawa, as well as ten other villages, have been suffering for 17 years from Israeli aggressive practices such as forced evacuation and razing of Palestinians’ homes and properties for conducting Israeli military training. Israeli soldiers invaded, on Thursday at dawn, Bil’in village, west of the central West Bank city of Ramallah, and demolished several structures. Coordinator of the Popular Committee in Bil’in, Abdullah Abu Rahma, said several military vehicles invaded the village, after surrounding it, and fired flares and gas bombs. He added that the soldiers demolished three agricultural structures, several wells and toilet rooms of a local children’s garden. The demolished properties belong to Othman Mansour and Ahmad Mohammad Hamad. Israeli bulldozers, on Wednesday morning, demolished a garage in the village of al-Issawyia, occupied East Jerusalem. Haitham Mustafa said, accoridng to Ma'an News Agency, that Israeli forces entered the village from its eastern entrance and bulldozed a 400 square meter car-repair garage belonging to him. He said that Israeli forces told him the garage was unlicensed, adding that they had not allowed him to remove his equipment or cars under repair from the garage, before they destroyed it. Additionally, Israeli forces had not given him any prior notice before demolishing the garage -- which he said had provided the sole income for two families. The head of a local popular committee, Muhammad Abu al-Hummus, said that the garage was built on land that is threatened with confiscation by the Israeli authorities for an Israeli national park. Abu al-Hummus added that Jerusalem municipality officials escorted by Israeli forces had entered the village from its main entrance, and toured its streets on Tuesday. He said that Israeli forces also raided the village on Monday, and delivered seven demolition notices for housing structures that had been built between four and ten years, previously. 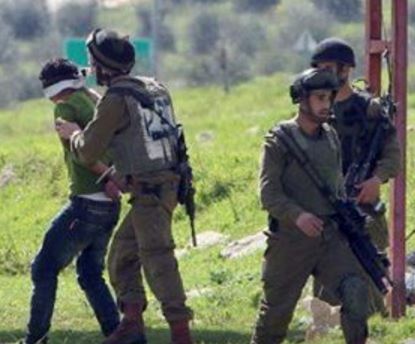 The Israeli army carried out, on Wednesday, various invasions and searches of homes, in different parts of the occupied West Bank, and kidnapped at least twenty Palestinians. Dozens of soldiers invaded 'Aida refugee camp, north of Bethlehem, searched a number of homes, and kidnapped three Palestinians, identified as Khalil Abdul-Rahman Abu Srour, 24, Farouq Ma’moun Bdeir, 23, and Khalil Mousa al-‘Ak, 23. The soldiers also invaded al-Minya village, east of Bethlehem, and kidnapped a Local Council member, identified as Jamal Hussein Tarwa, in addition to Bilal Tarwa, and took them to an unknown destination. Head of the al-Minya Local Council Zayed Kawazba said the soldiers invaded and ransacked many homes, and interrogated several Palestinians. The soldiers also desecrated, and dug, a grave in the local graveyard, and searched the area. In Ramallah, the soldiers kidnapped Samer Abdul-Jabbar Abu Eshteyya, 19, Fares Abu Eshteyya, 23, and Abdo Aziz Abdul-Qader, 20. In Nablus, in the northern part of the West Bank, the soldiers kidnapped a young man, identified as Amer al-Masri. In Jenin, also in the northern part of the West Bank, the soldiers kidnapped Abdullah Mahmoud Zyoud, from Ta’nak village. In Hebron, in the southern part of the West Bank, the soldiers searched homes and kidnapped Nizar Salhab Tamimi, 15, ‘Awni Emad Abu Shamsiyya, 16, and Mohammad Bassam Ghatasha, 17. The Israeli Prime Minister Benjamin Netanyahu gave instructions to press ahead with the demolition of homes of Palestinian anti-occupation activists, Israeli media outlets reported Tuesday. The Israeli occupation radio quoted well-informed sources as saying that Netanyahu gave instructions after he expressed his disenchantment with the slow pace with which the demolition of family homes of Palestinian activists was carried out. His remarks were reportedly voiced during a government session on Sunday. Reports were, meanwhile, released by Israeli news sources on the demolition, by the occupation army, of seven homes belonging to Palestinian anti-occupation activists in the occupied West Bank and Occupied Jerusalem. The Israeli occupation is intending to knock down a total of 90 Palestinian homes belonging to anti-occupation activists across the occupied Palestinian territories. Observers said Israel’s demolition of Palestinian homes makes part of a preplanned policy of collective punishment and ethnic cleansing pursued by the occupation authorities since the late 1960’s. 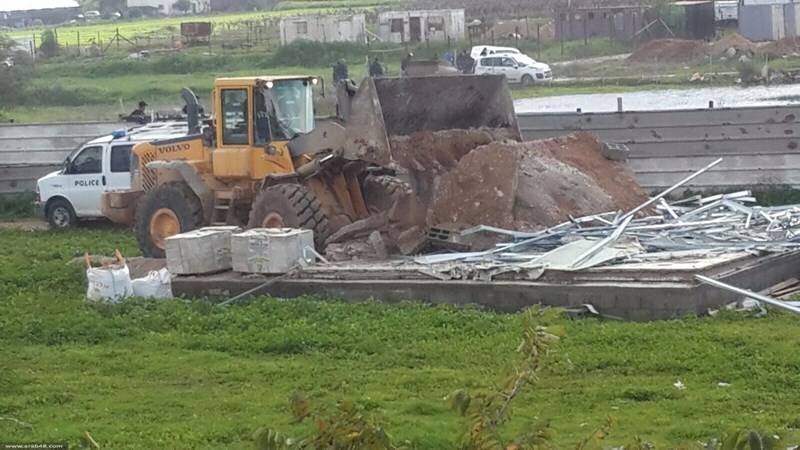 A number of Palestinian facilities were demolished in the Masafer Yatta area of southern al-Khalil on Tuesday morning, a local activist told the PIC reporter. Ratib al-Jabour, a spokesperson for a local popular committee, said that "large numbers of Israeli forces stormed Masafer Yatta before bulldozers demolished a two-room house and a tent. 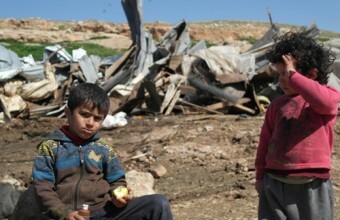 The demolished facilities belong to Palestinian resident Samir Hamada and his 10 family members who were left homeless. 13 other homes were also destroyed in Janba area, while nine structures were demolished in Halawa area. Israeli forces had earlier demolished a number of Palestinian-owned facilities and confiscated solar panels which the residents had been using for procuring energy in the area. The demolished structures were reportedly built by a European organization during last year’s winter storms. Meanwhile, a house under construction was demolished in Silwan town in occupied Jerusalem for allegedly being built without permit. 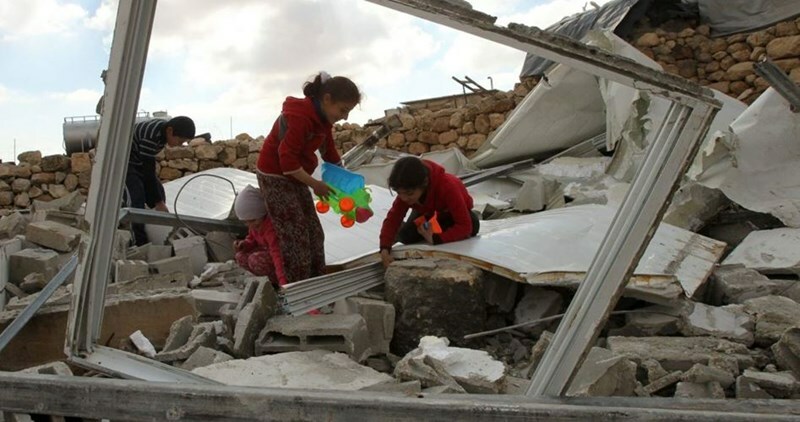 According to the UN Office for the Coordination of Humanitarian Affairs (OCHA), the Israeli authorities demolished or dismantled a total of 539 Palestinian-owned structures in the West Bank over 2015, the vast majority in Area C, on the grounds of lack of building permits. This figure was ten per cent lower than in 2014. Approximately 60 per cent of the structures targeted in both years were located in small herding communities in Area C, and some 20 per cent were provided as humanitarian assistance and funded by international donors. The Israeli occupation authority (IOA) on Tuesday morning demolished two Palestinian homes, one of them under construction, in the towns of Sur Baher and Silwan, east of Occupied Jerusalem. 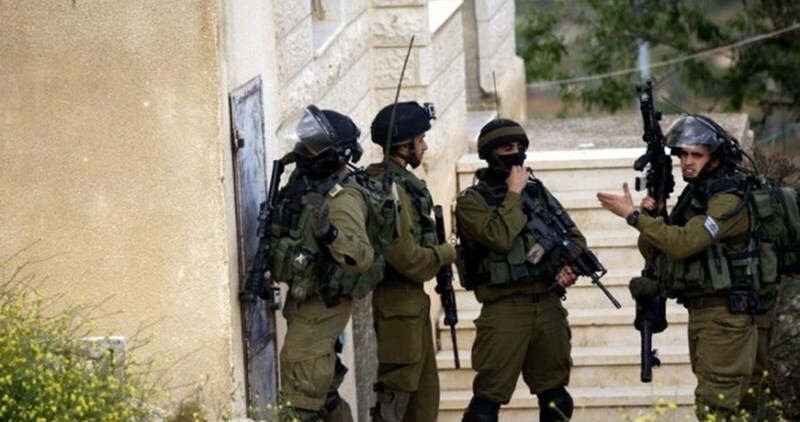 Local sources said that Israeli bulldozers escorted by a large number of Israeli special forces entered Abul-Hems area in Sur Baher town and knocked down the house of Iyad Abu Mahamid in the absence of its residents. The sources noted that the soldiers did not remove the furniture inside the house before demolishing the house. A family of seven individuals was living in this house, which had been built about seven months ago. Abu Mahamid, owner of the house, had tried several times to obtain a construction permit for his house but to no avail. The IOA also destroyed a house under construction belonging to Yehya Mohsen in Wadi Qaddum neighborhood in Silwan town, south of the Aqsa Mosque. Mohsen had started to build his house several months ago to live in it with his family. The IOA had demolished 21 Palestinian homes and structures last January in Jerusalem at the pretext of unlicensed construction, which led to the displacement of many families. 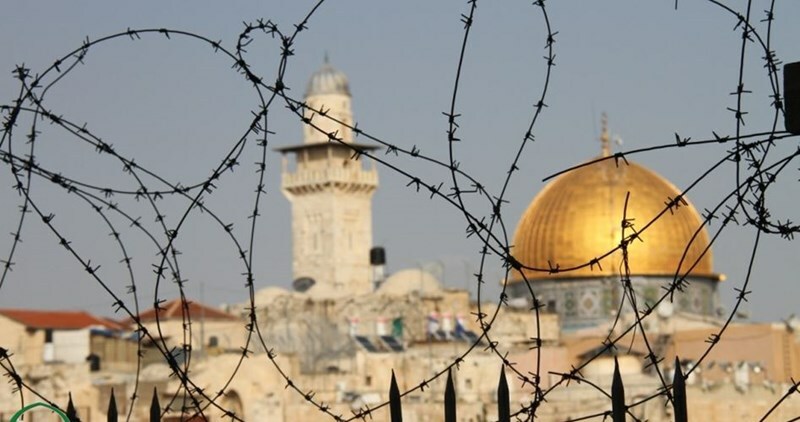 The Resistance Committee Against Apartheid Wall, settlement expansion, and Judaizartion policy warned of new Israeli schemes to completely isolate occupied Jerusalem from its Palestinian environs. Speaking to the PIC reporter, head of the committee Hamdi Diab said that Israel has escalated over the past ten months its Judazation schemes in occupied Jerusalem, seeking to change its landmarks and take complete control over its holy places. Israel works at ending the Arab presence in the occupied city, he stressed. Diab pointed to the ongoing Israeli land confiscation and expansion of a number of illegal settlements east and north of occupied Jerusalem. He raised alarm bells over Israeli schemes to completely isolate occupied Jerusalem from its Palestinian environs. 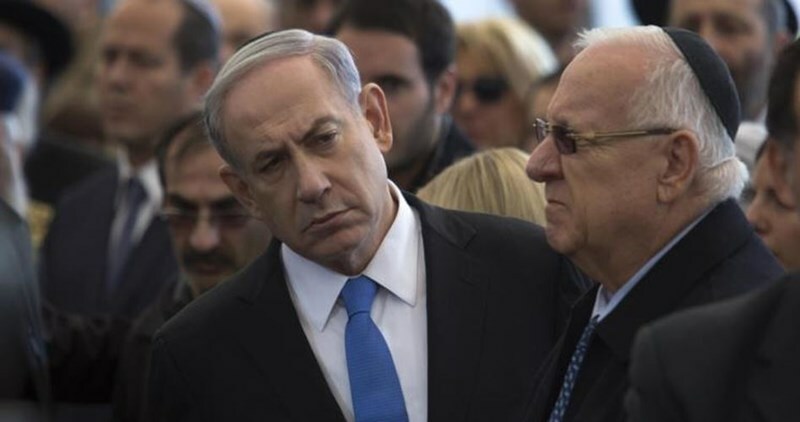 Israel has already started isolating the occupied city from the rest of Palestinian territories by separating the northern and southern parts of West Bank and controlling the Palestinians' movement, he warned. The Israeli Antiquities Authorities rolled into Silwan town, in eastern Occupied Jerusalem, triggering a violent response from Palestinian protesters. Israeli news outlets said Palestinians attacked vehicles owned by the Antiquities Authority after the latter stormed Silwan town. The Antiquities Authority broke into the land of the Palestinian citizen Khaled al-Zeir in Silwan and carried out excavations in the presence of the Israeli occupation army. The Israeli occupation authorities have claimed that Jewish relics have been existing beneath al-Zeir’s land tract for years. Al-Zeir has been persecuted by Israel's Nature and Parks Authority and had his own home demolished on several occasions, forcing him to live in a stockroom. Israeli forces, Monday, notified Palestinians in Masafer Yatta, a Bedouin congregation to the south of Hebron, about their intent to demolish residential structures which shelter their families, according to local sources. Rateb Jabour, coordinator of the Anti-Settlement Commission in Hebron, said an army force broke into Halawa and Tabban, two small villages in Masafer Yatta area, and took pictures of residential tents and structures, as well as notified the owners of their intent to demolish the said structures next week. Located in Area C of the West Bank, under full Israeli administrative and military control, the area has been subject to repeated Israeli violations by settlers, WAFA further reports. Israel rarely issues construction permits for Palestinians living in Area C, prompting them to embark on construction without the legal construction permits. 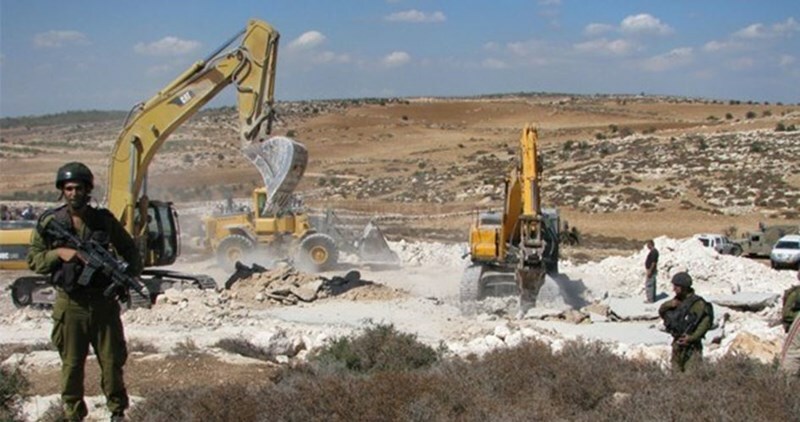 Operation Colomba, Nonviolent Peace Crops, has reported on multiple violations by the Israeli authorities in the area, including house demolitions, demolition of animal barns and other health facilities. The congregation is surrounded by four settlements – deemed illegal under international law - namely, Ma'oun, Karmae’l, Yaqoub Dali, and Lifna. It has therefore been a frequent target of almost weekly attacks by Israeli Jewish settlers. Nearby Israeli military checkpoints and bypass roads allocated to Israeli settlers have restricted local Palestinians’ access to their land, workplaces and market. Experts have raised alarm bells over the serious upshots of Israeli illegal settlement activity in the West Bank province of Salfit, where the demographic balance has remarkably destabilized. 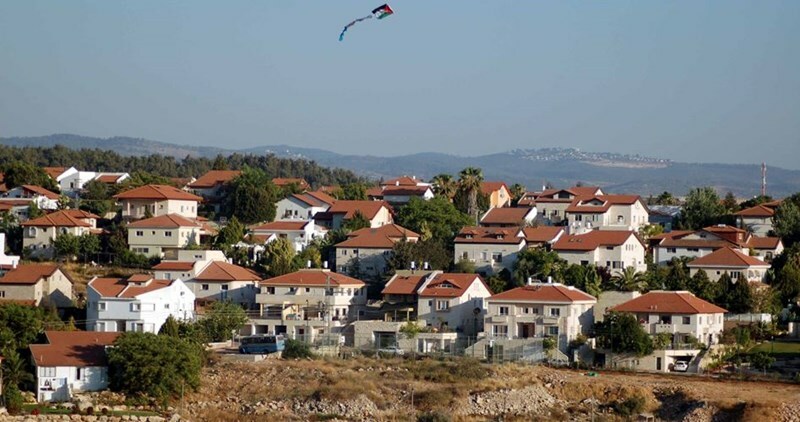 According to official statistics, more than 100 thousand Israeli settlers are living in the settlements in Salfit compared to 90 thousand Palestinians. 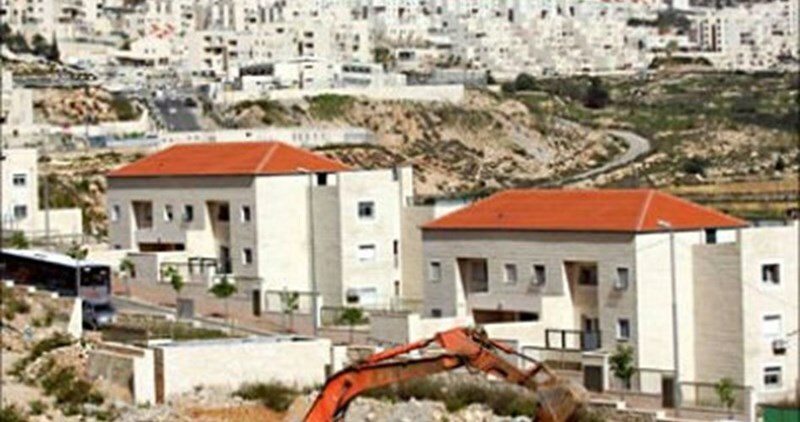 The statistics documented that there are 24 illegal Israeli settlements in the Salfit governorate compared to 18 Palestinian towns and villages. The Israeli settlers and occupation government also dominated and notified the confiscation of a total of 70% of the province lands in favor of settlements and the separation wall. Such illegal settlements extensively drain the rich natural resources and the groundwater of the province. The settlement building, which began early in Salfit in the mid seventies, has been dramatically affecting the lives of all citizens of the villages and towns of Salfit. The Israeli occupation army on Sunday evening ordered a Palestinian to stop building his new house in Beit Ummar town, north of al-Khalil city. 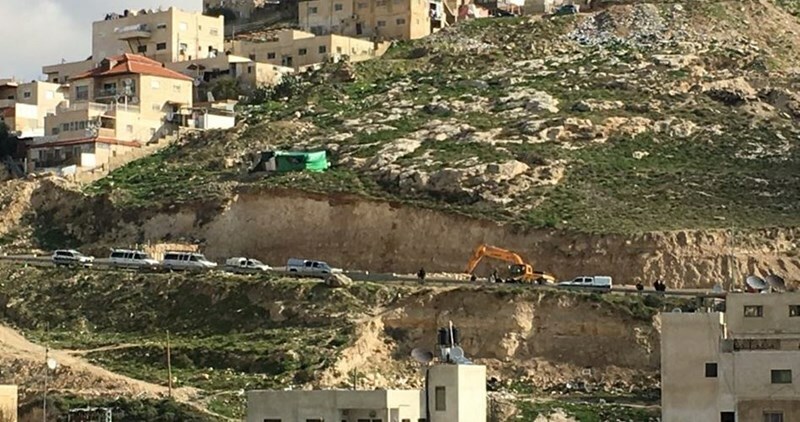 Anti-settlement activist Mohamed Awad said that Israeli soldiers stormed Wadi al-Sheikh area near al-Khalil-Jerusalem road and put up a notice ordering Osama al-Alami to stop construction works in the house. Awad added that the soldiers confiscated construction materials and equipment from the site. The Palestinian researcher Khaled Maali said that Israeli decision to return back 5000 dunums of the Jordan Valley lands to the east of the West Bank to Palestinians is a tricky and deceitful decision. Maali pointed out that Israeli aims, by this resolution, to beautify its image by judicial resolutions in order to delude the international community into believing that the Israeli confiscation of Palestinians' lands is legal. The tightened international pressure on Israeli authorities to halt or freeze settlement construction made Israel announce returning back those lands to Palestinians, which in fact aims at containing the increasing international pressure, Maali said.